Thousands of years ago, indigenous people living in the California Channel Islands relied on a manufacturing process that exposed them to dangerous chemicals that likely compromised their health. The discovery shows that toxic substances of our own making have been around for a lot longer than we realised. By replicating a traditional method used to create water bottles and other items, a research team from the University of California, with the help of researchers from Stockholm University, has shown that native Californians inadvertently and unknowingly exposed themselves to dangerous chemicals known as polycyclic aromatic hydrocarbons (PAHs). These compounds, which has been linked to a wide range of health problems, are a noxious byproduct of warming bitumen, a petroleum-based substance that can be used as a sealant. The details of this discovery can now be found in the science journal Environmental Health. The California Channel Islands are unique in that they’re one of the few places in North America where archaeologists can find traces of continuous human occupation dating back to when the peopling of the Americas began, up until the Industrial Age. Extensive work on the islands has produced a rich and deep record of human occupation in the New World, including skeletal remains that date back over 10,000 years. Scientists have been able to trace signs of disease and stress in these skeletons over time, as populations grew in size, as their diets changed, and as societies evolved. But as the new research shows, certain declines in the health of these ancient people can likely be traced back to the introduction of bitumen-lined water bottles at least 5,000 years ago, and bitumen-sealed plank canoes around 2,000 years ago. To that end, Sholts’ team engaged in a bit of experimental archaeology. Using the exact processes and tools used by the indigenous Californians, the researchers produced two different version of the ancient water bottles. The first was lined with soft bitumen known as “malak,” which is known to wash ashore after seeping up from the ocean floor, and the second bottle was lined with hard bitumen called “woqo,” which is found in oily land deposits. Following oral tradition, the researchers used stone tools and a bird bone awl to weave baskets from soft rush plants found in California. 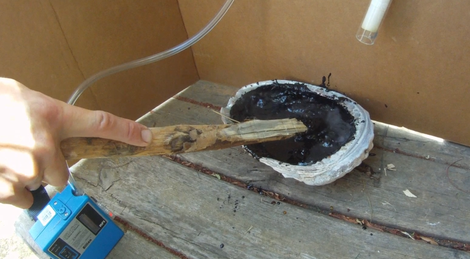 Abalone shells were used as mixing dish, and the bitumen was heated with metavolcanic pebbles before applying the substance to the basket by hand using the bone of a sea mammal. During the process, the researchers sampled the air using gas chromatography and mass spectrometry. They isolated, identified, and measured levels of PAHs, finding concentrations equal to or greater than those found in cigarette smoke. But while the fumes from the bitumen were at dangerous levels, the water stored in the in the bitumen-lined bottles did not contain toxic amounts. Consequently, Sholts says, the amounts of PAHs found in the water wouldn’t have been enough to induce health problems. Sholts admits that no direct evidence of PAHs exist in skeletal remains, since PAHs do not accumulate in bone (unlike lead, for example) and are usually excreted from the body shortly after exposure. “However, we see non-specific indicators of stress, such as decreased head size and stature, that are consistent with observed effects of prenatal PAH exposure in modern populations,” she said. Interestingly, she says any of the health risks that were encountered through the use of bitumen were probably outweighed by its many advantages for survival and well-being. 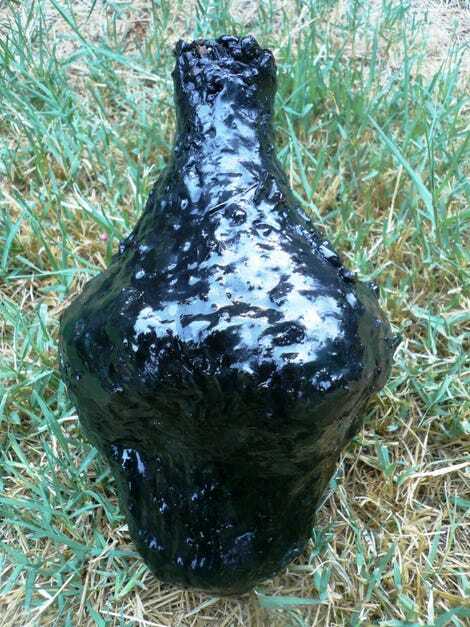 The researchers also learned through this experiment that the kind of bitumen that washes up on the Channel Islands (from subterranean seeps) was suitable for making these bottles. Previously, it was suggested that the quality was too poor, forcing people on the islands to be more dependent on bitumen from the terrestrial seeps on the mainland. 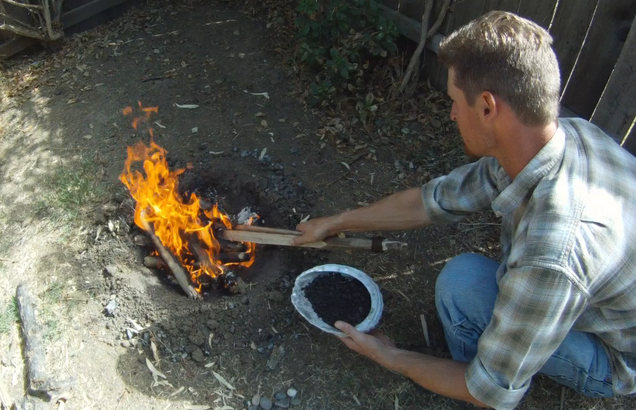 In terms of next steps, Sholts’ team plans to continue to use experimental archaeology, toxicology, and other methods to better understand the health of indigenous Americans.